The leader of Carlisle City Council, Professor Joe Hendry, has died at the age of 67. Councillor Hendry had a heart attack last Friday and died in the Cumberland Infirmary on Thursday, the council confirmed. He held the post of council leader for a year, previously having represented the Yewdale ward for Labour. A spokesman for the council said the news had come as a shock and Mr Hendry would be "sadly missed." During his career he had been a senior governor at Yewdale Primary School and was also a board member of Cumbria Probation Trust. Jason Gooding, chief executive of the council, said Mr Hendry had taken pride in his city. He said: "The news came as a great shock to us all as he appeared to be recovering well and was in good spirits. "He will be greatly missed. Although Joe's council leadership was for a relatively short period, he had a great impact on the council and had a strong vision for the development of Carlisle into the future." Mr Hendry, who was visiting professor at Strathclyde Business School, was elected as council leader in May 2012. 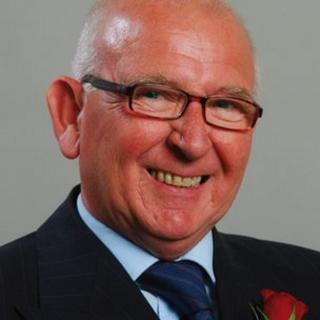 Carlisle City Council deputy leader, Councillor Colin Glover, said: "I saw Joe in hospital on Wednesday evening and he was bright and cheerful and seemed to be doing really well. "He kept a large pledge card in his office as a reminder to us all of the promises that had been made to the people of Carlisle. "The finest tribute that we can pay to Joe is to make sure that those pledges are kept and his vision for the city is delivered. Our thoughts are with his wife Monica and the family at this sad time."